Children can play Sunday at Wicker Park while their parents size up their education choices for next year. 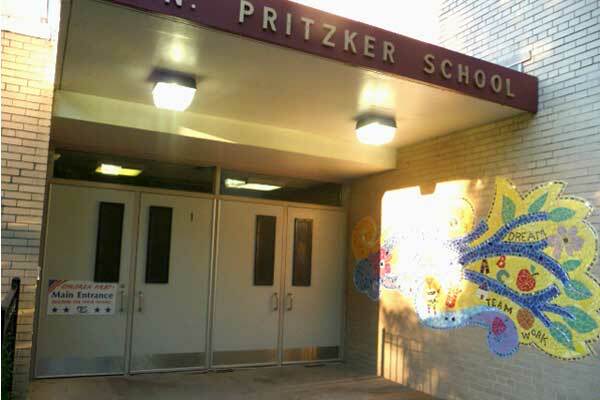 Twenty neighborhood, magnet, charter and private schools in the 1st Ward will be represented from 10am-2pm at the Wicker Park fieldhouse, 1425 N. Damen. This year's School Expo is co-sponsored by the Wicker Park Committee and Ald. Proco Joe Moreno. Chicago Public Schools will hold its own Options for Knowledge Fair from 9-noon Saturday at Malcolm X College, 1900 W. Van Buren. Applications are accepted beginning in October for the city's magnet, gifted and other selective-enrollment schools, including A.N. Pritzker in Wicker Park and LaSalle II in East Village. Pritzker also has an open program that covers much of East Village; Principal Joeniele Reese outlined Pritzker offerings to the East Village Association this month. Pupils from the closed Andersen Community Academy now attend LaSalle II, at 1148 N. Honore. Pritzker, Peabody, Otis and Columbus are the East Village neighborhood public schools. Private schools include Near North Montessori. Also of note, Pritzker School announced that the Ethnic Heritage Ensemble jazz group will perform Feb. 10 and 11 benefit concerts in the Pritzker auditorium at 2009 W. Schiller. Kahil El'Zabar, whose children attend the school, is an energetic stage presence as the group's leader and percussionist. Among his credits, El'Zabar led the influential Association for the Advancement of Creative Musicians, scored "The Lion King" for Broadway and organized Steppenwolf Theatre's Traffic series.